Guardianship is a legal process to appoint a caretaker for a person who is not able to take care of him or herself. There are two types of guardianship in Illinois: personal and financial. 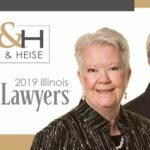 If you are concerned about a loved one’s ability to manage his or her personal or financial affairs, contact Bush & Heise, Attorneys At Law, in Barrington, Illinois, to receive a free initial consultation about your options. Attorney Brian L. Heise is a member of National Academy of Elder Law Attorneys. To manage money for minor children. If your child receives money from a life insurance policy, inheritance or personal injury lawsuit, you must be appointed as your child’s guardian to control the money until the child reaches 18. If the child is disabled, the guardian will control the money until the court orders the money distributed. To care for a disabled child. If you have a disabled child, you will need to be named as your child’s guardian to make decisions for your child. To care for elders. If your parents are not competent to sign a power of attorney, you will need to be appointed as your parents’ guardian to place them in a nursing home or even pay their bills. Without either a power of attorney or being named your parents’ legal guardian, you would not have power to do anything. A guardianship may be necessary in the event a disabled person is not able to make responsible decisions for him or herself. If someone close to you is disabled and unable to make or communicate sound decisions regarding finances, health care, residential placement or other important matters, the attorneys at Bush & Heise, Attorneys At Law, are here to help you explore your legal options. With more than 40 years of experience, we understand guardianship law and are prepared to help. Contact us today online or by telephone at 847-241-4209 to discuss your situation with a knowledgeable Barrington guardianship attorney. Under the Illinois Probate Act, courts have the ability to tailor guardianships according to the needs and disabilities of disabled people. Depending on the disabled person’s ability to make decisions, the guardian may be granted decision-making authority over finances, personal care or both. The court will make a determination on the disabled person’s needs based on a thorough clinical analysis. It is the role of the guardian to act in the best interests of the disabled person. While family members are often appointed as guardians, they do not automatically gain guardianship status and must petition the court in order to do so. Guardianships can be complex and sensitive legal matters. Our attorneys will work with you personally to help you understand your rights and responsibilities as a guardian. We can handle all of the legal details and make the process as simple and straightforward for you as possible. Guardianships for minors are necessary when a child does not have parents or the parents are unwilling or unable to adequately care for a child. Guardianships for children are also necessary when a child has obtained money in the form of an inheritance or settlement, until the child is an adult and able to make responsible financial decisions. If you are seeking a guardianship for a minor, the attorneys at Bush & Heise are ready to assist you with all of the legal details. With more than 40 years of experience, we are prepared to handle your critical legal matters with care and attention to detail. 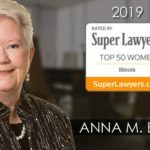 If you are seeking legal guardianship over a minor in Illinois, our attorneys are here to help you explore your legal options. We can help you with all of the necessary legal steps, including filing paperwork and meeting all deadlines. Many people are confused by what obligations or liability they may have as a guardian. Our lawyers have over 40 years of experience helping people through the guardianship process.